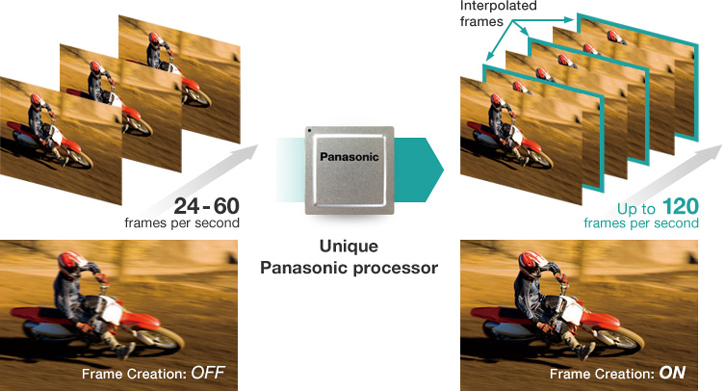 Real Motion Processor uses sophisticated algorithms to create three additional frames for each image, boosting native 60 fps footage to 240 frames per second. The result is incredibly smooth and realistic motion rendering, particularly useful for the broadcast of sporting events and other fast-paced video. Further, images of up to 240 Hz*1 can be displayed with SDI, DVI-D, and HDMI simultaneous inputs*2*3. A refined optical engine enhances focus performance for a lifelike sense of resolution, contrast, and fluidity. *1 Refresh rate varies depending on vertical scanning frequency. Note that 240 Hz frame rate is downsampled back to 60 Hz when projecting at 4K+ resolution. *2 HDMI and DVI-D terminals available only on optional SLOT NX boards. Two boards of the same kind are required when displaying images at 240 Hz via simultaneous inputs. *3 Geometric Adjustment and Upgrade Kit functions are not supported with simultaneous video signal input. The PT-RQ13K achieves better-than-4K resolution by employing a high-speed 2560 x 1600-pixel (WQXGA) DMD chip that shifts each pixel vertically and horizontally, effectively quadrupling the pixel count. Working together with Real Motion Processor 240 Hz frame-creation technology, Quad Pixel Drive pixel-quadrupling technology produces stunningly detailed 5120 x 3200-pixel (4K+, 16:10) images that retain natural sharpness and clarity. As well as producing liquid-smooth and accurate video, the added detail also makes small text clearly legible on images used in presentations and lectures. Shifting pixels vertically and horizontally creates ultra-high-resolution pictures that exceed standard UltraHD. ensures the smoothest reproduction of fast-moving 4K+ sequences. 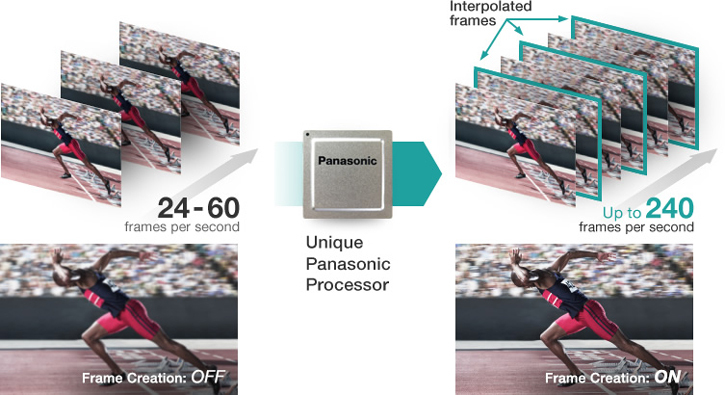 Together with a unique high-speed Real Motion Processer chip, Panasonic has refined the PT-DZ21K2 Series’ optical engine to enhance focus performance for a better sense of resolution, contrast, and fluidity. Real Motion Processor creates supplemental frames and interpolates for a fast 120 Hz* frame-rate, resulting in incredibly smooth and realistic reproduction of motion. Further, 120 Hz* images can be displayed with Dual-link 3G-SDI, DVI-D, and HDMI simultaneous inputs.